Our interest in cycling began 27 years ago through our son and brother, Mark, whose dedication to the sport rewarded him with 5 Canadian Championships and an 11 year career as a professional road cyclist, his passion was adopted by his parents and sister. 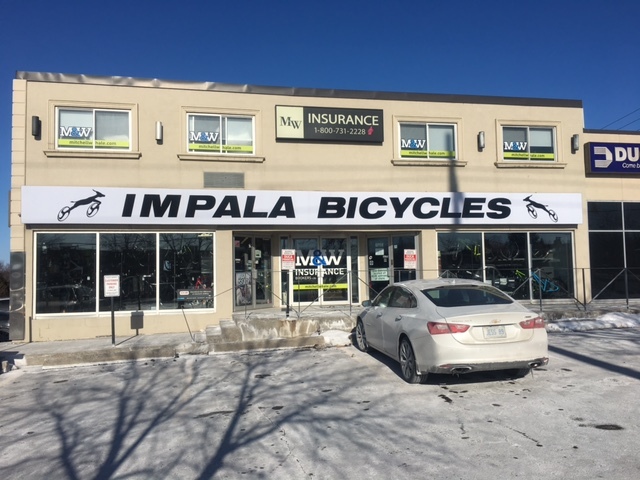 We purchased Impala Bicycles over 12 years ago, moved and expanded it in it’s present location with over 600 bikes in stock and a huge selection of accessories, shoes and clothing. More importantly we pride ourselves in the service we give our customers, from bike fits by our general manager Andrew, to helping our customers choose the right product for their needs. Our passion for the sport remains as strong as ever.